So I have my site set up, hosting with Dreamhost and randomly the site either just loads a blank page or gives me a “Error 324 (net::ERR_EMPTY_RESPONSE)”. Sometimes the page just stays in a endless loading loop. This happens with all browsers. I have cleared my browser’s cache, tried on different computers etc, but the issue prevails. GremlinInteractive.com - Will your marketing strategy benefit from a premium domain that your customers will easily remember when they're ready to buy? Keep clicking links or refreshing the page. See that randomly, the issues I outlined above will happen. Thank you for contacting us for support. I looked into your sites and sent you an email with details and suggestions. You can view it here http://bit.ly/SkWlfB If you have any questions or justneed more support please repky back to that email. Did you get this resolved, and if so, can I ask what you did? I’m having the same issue and have been going back and forth with support but it’s still occurring. Thanks in advance. Thanks. It appears you solved the problem. I’d reverted to stock themes, disabled every plugin, spun up a new database and Wordpress instance, etc. Nothing seemed to fix it, and I could load Wordpress and the same content on another domain with no problems at all. In a nutshell, if I clicked on each of the pages on my web site, at least one or two wouldn’t load and I was starting to get failures from Google Webmaster Tools, which would eventually cause my SEO performance to suffer. It certainly appears as though you fixed it – I’ve tried several browsers on several machines. Thanks so much for your help! Critiques cinématographiques et projets personnels de Luis Dion-Dussault. It seems there was a weird issue with the Apache services your sites are hosted on. Usually Apache issues cause a site to load slowly. In your case, your sites immediately produced a “No Data Received” error in Chrome for me. The Apache services for both of your sites appeared to be running fine, but got stuck when I tried restarting them to see if that would resolve the issue. I was able to kill off all processes on both Apaches, and restarted them, and now your sites are loading. I’m not totally sure why that happened, might have just been a weird glitch with those Apaches. I’ll do some digging in the Apache logs and let you know if I find anything that explains what happened. 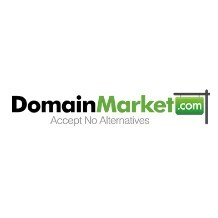 Hi, exactly the same issue for my domain ajscherer.com (although my other domain scheza.com working fine) - any advice?? Amazing, thanks very much for the quick response and solution! That was a quick one. Nice job here support. My site started loading a blank page last night. I haven’t changed anything in months and it was working fine before that. I have verified all the site files are intact and normal. Can you look into if the Apache service needs restarted? I opened a help ticket, but they responded with “check my site with the developer” which is me and I haven’t heard back from them when I told them it isn’t my site.